SUN-FLEX®Forearmsupport MT/RM is designed and manufactured with the user in mind. The unique asymmetric shape creates a central working position in front of the keyboard and maintains a very relaxed position. Due to the shape and material of choice the product is relieving for neck, shoulders, back and forearms and minimises the risks for Carpal Tunnel Syndrome and RSI. The support is of mixed materials to optimise the soft and yet sturdy support. The core of the product is made from EU-certified and approved wooden material and a steel plate to make sure the sturdiness of the product as a whole is maintained. For easy cleaning and disinfecting of the product while in use, the top cover material is made in skai. This material also creates the possibility to “slide” from left to right when typing or performing other tasks in front of the keyboard. 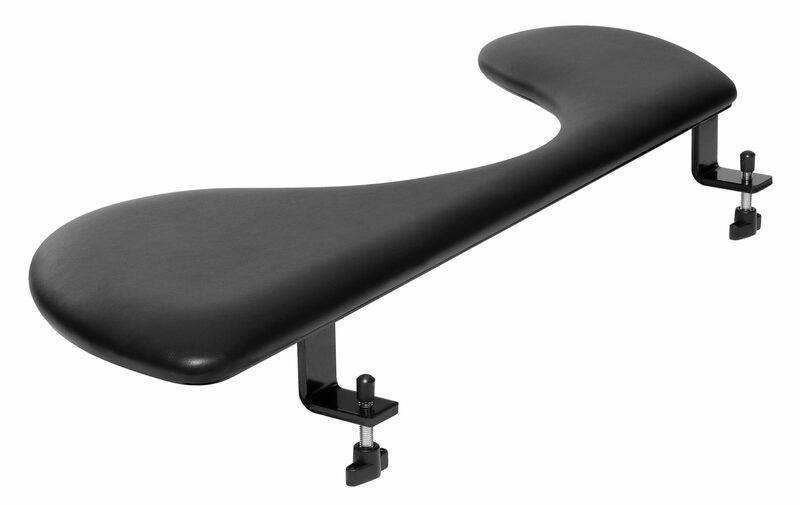 Because of a very slim and unique construction of the waistline, it promotes and encourages a working position very close to the keyboard – thus preventing reaching and stretching the forearms. 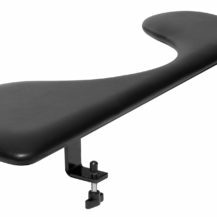 The SUN-FLEX®Forearmsupport MT/RM comes with a set of two z-shaped brackets as standard. These fit most the desks on the market. Made from mixed PU foam for optimal support and cleanliness. Steel base for excellent sturdiness. EU-certified and approved wooden material in the core. Packaging: Single, master box of 8 units. Copyright © 2007-2019 Sun-Flex AB.